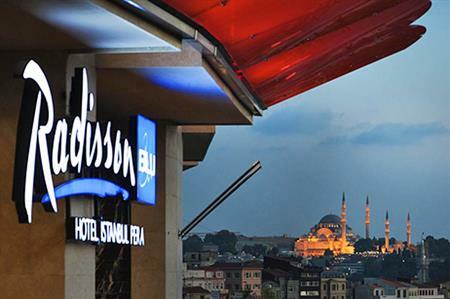 The Istanbul Pera Radisson Blu Hotel has opened with 130 rooms and seven meeting rooms. The brand new property has seven flexible meeting rooms for up to 130 guests. The hotel is located in the ancient Pera Taksim district, a hub for shopping, arts, culture, dining and nightlife. The property overlooks the Golden Horn with views of the city and harbour. The hotel’s rooms and suites are decorated in a Bohemian, old Istanbul style with free high-speed Internet access and complimentary access to the Botanica Spa, Wellness & Beauty Centre. The hotel also has a gym, indoor pool, jacuzzi, sauna, steam bath and a Turkish hammam. Ataturk Airport is 25 minutes away by car. Carlson Rezidor now operates seven hotels with 1,500-plus rooms in Turkey. Istanbul was the European Capital of Culture in 2010.